There are a number of local rescue organizations working to find homes for countless dogs and cats. These organizations are made of dedicated, committed animal activists that donate their resources, time and money to saving lives. Rosemont Pet Clinic and staff are among these animal advocates. We have rescue animals in our homes, we volunteer, and our clinic offers free first-time health exams to recently adopted pets from rescues, Pima Animal Care and the Humane Society. 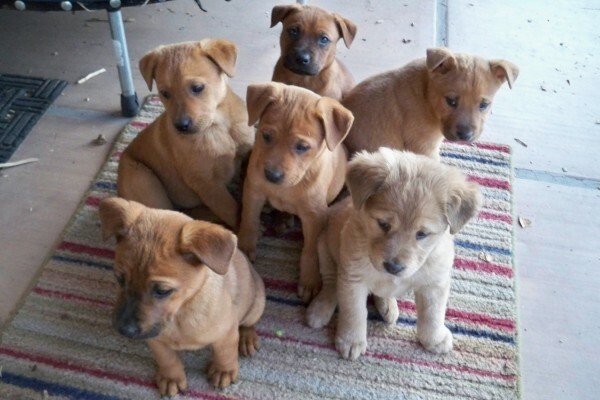 The puppies shown above were rescued from euthanasia by Baby Animal Rescue Koalition (BARK), fostered by one of our staff, and all were placed in homes. We have worked with the wonderful people of Hope and Adopt-A-Bull also. Please consider a rescue for your next pet. Most often there is an adoption fee, however please remember that local rescues are often non-profit and managed by volunteers, using their personal resources and dependent on contributions and donations from the public. Help save a life today. Is That Little Grass Seed Really Dangerous?